If you are visiting London for the first time, you can sometimes not have a clue where the best places to shop are. You have the obvious destinations, like Oxford Street for high street stores and Brick Lane for vintage, but sometimes what you are looking for is no where to be found. Even as a seasoned London shopper, I only end up discovering other gems if I stumble across them, or by being invited to events there. So I thought I'd share this little gem that's just round the corner from Marble Arch. 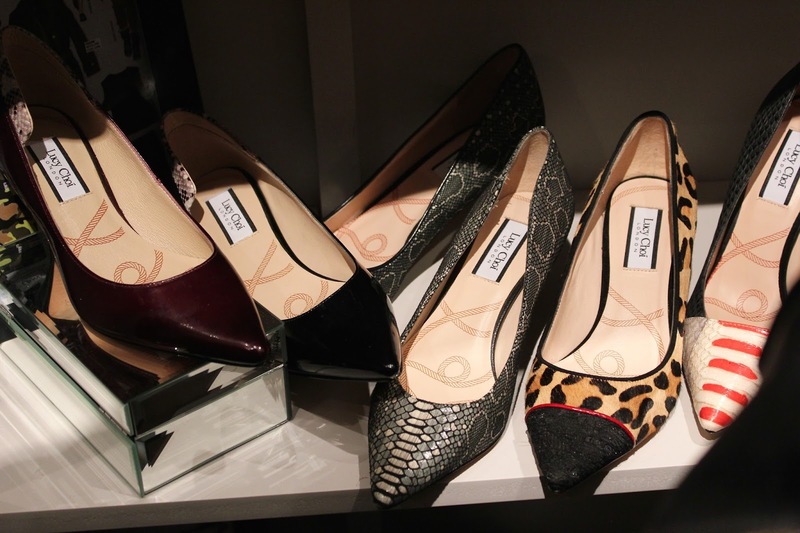 You may recognise the name Lucy Choi; after all, she is the niece of Jimmy Choo! I was already a fan of Lucy's work after seeing an interview with her in a magazine a year or so ago. 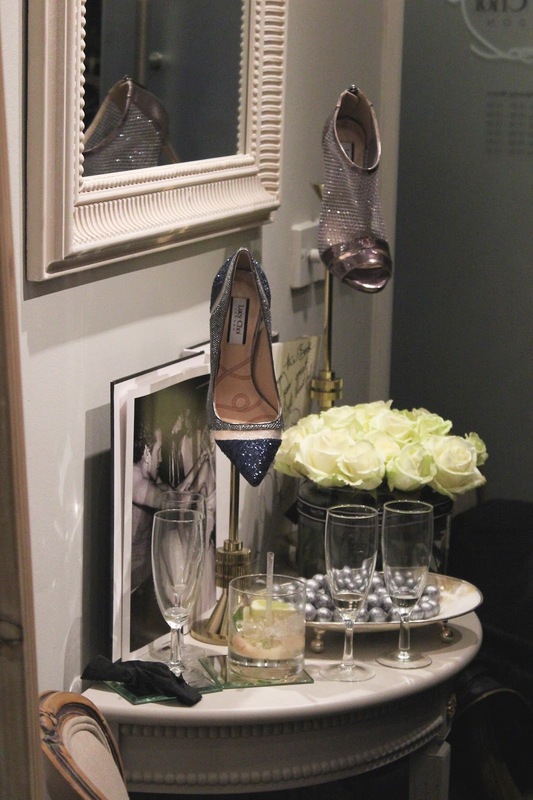 So I was all a flutter with excitement when I got the chance to attend the launch of her first every London boutique in the prestigious Connaught Village. The store was once inhabited by her uncle Mr Choo, so it seemed fitting to set up shop there (literally). The brand debuted in 2012 to roaring success, and the first flagship store is the next step, allowing customers to browse, try on and purchase the full collection. It's a tiny space (so much so that people were literally spilling onto the street at the launch) but has so much packed into it! Shoes covered any surface available, with the eye wondering from courts to boots to loafers. The detail in each piece is really something to marvel at, yet all of them are so versatile! The bridal court shoes stand across the room from the edgy ankle boots adorned with lace, toe caps, buckles and fur. There are workwear-worthy heels in deep reds, greens and animal prints that will definitely get people talking in the office. Even the flats are shoes to be proud of, with chunky treads and metallic bows. 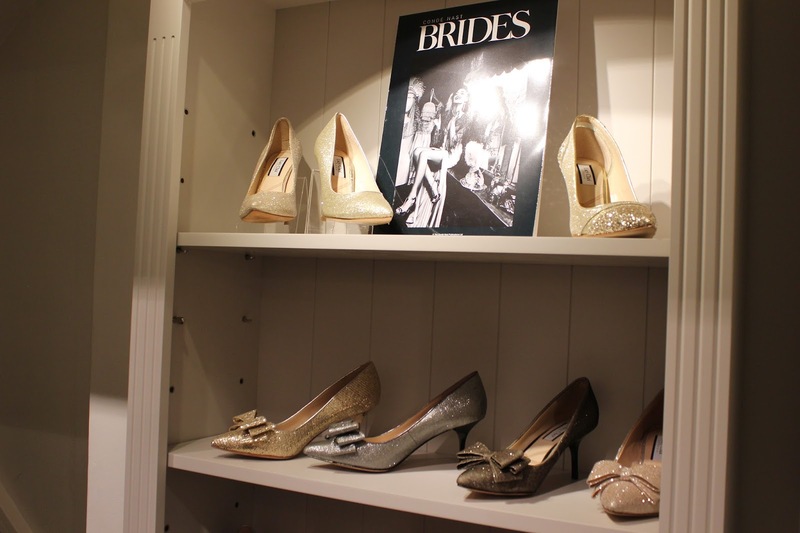 The real head-turners though are the heels that you see as soon as you enter the boutique: each shoe is stunning yet so different from the next! More is more with studs, pastels, and more animal prints and metallics. 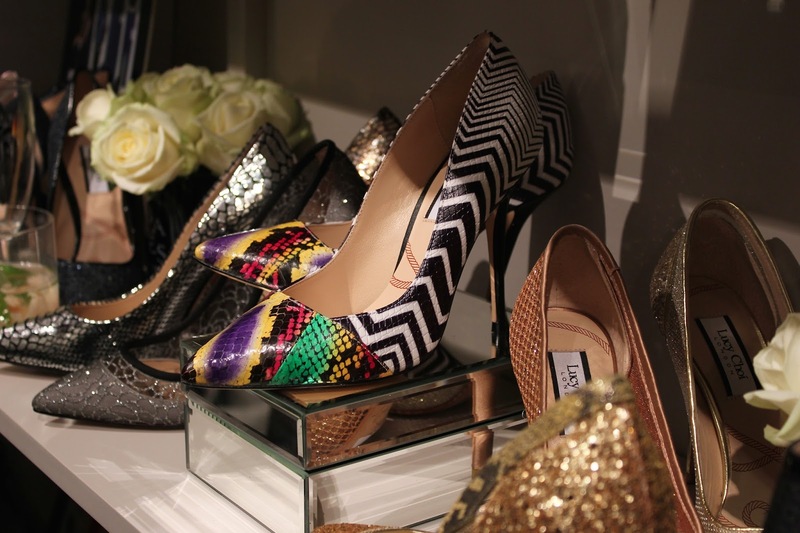 My favourites were the mesh peep-toe boots, gold glitter heels and of course, the multicoloured snakeskin and zigzag shoes! If you want to be THE centre of attention, these are the shoes for you! Looks like a pretty store! I love the flats!